As one of the most elegant standing desks in its class, the Jarvis represents a recommended option for fans of wooden desktops. With a minimum length of 33” and a maximum length of 81”, the desktop of the Jarvis range can differ significantly from case to case. 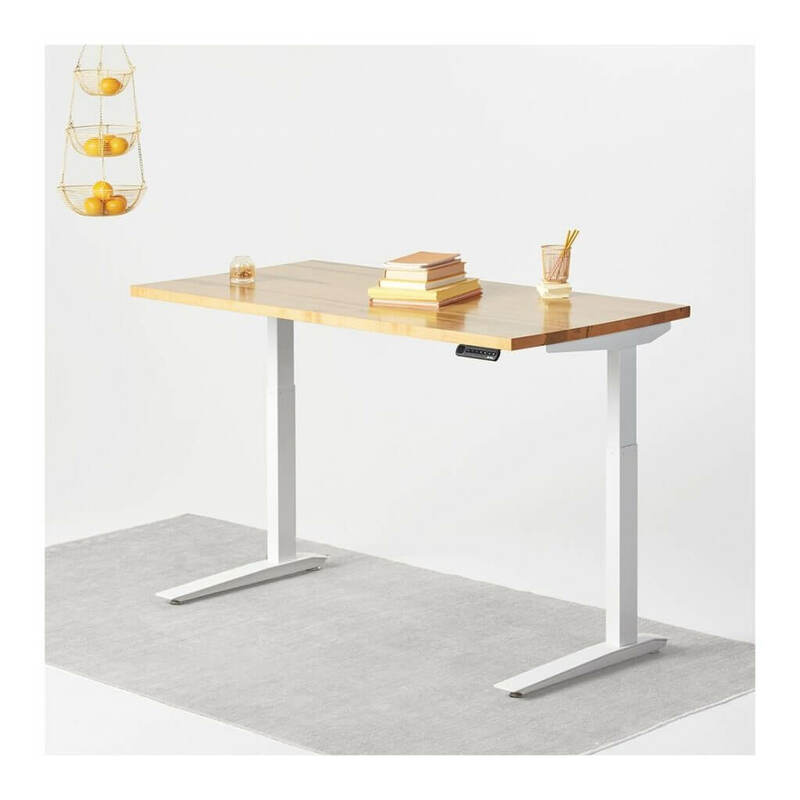 As one of the most elegant standing desks in its class, the Jarvis standing desk represents a recommended option for fans of wooden desktops. But maybe the biggest advantage of the standing desk comes with the interesting materials. With bamboo and oak options, users can create their own unique desk. It goes without saying that wooden desktops look different and they represent the ultimate level of quality. But at the same time, this also means that the color options are somewhat limited. The whiteboard desktop also comes in black and grey alternatives. However, the best look is always the natural look for wooden surfaces. An area in which the Jarvis stands comes with customization options. There are many of them. Wire management grommets are among the leading options chosen by customers. Of course, not everybody wants holes in the beautiful desktop. But those seeking to manage cables and keep them away from possible trips will find them useful. The same can be said about the plugin grommets. They can also be added to the desktop. Used to power computers or to charge smartphones, the grommets are highly useful in the busy office space. However, some users argue that they are not made with the quality which is expected from them. Others argue that wireless charging options would have been a better addition instead. One of the interesting approaches from Fully comes with the height adjustability handset. While most options are made with simple up and down buttons, there is a programmable option available as well. The more complex handset has 4 user-defined height positions. With a digital display for the height in inches, it is a handset among the best in its class with its LED lights. Monitor arms can also be purchased by office workers. They lift the monitor from the desktop and they can allow for impressive 3D adjustability freedom. Users also applaud the CPU holder mechanism with extension. It works well for compact desk computers and it keeps them away from the desktop for added space. Full drawers can also be added, even if they are somewhat limiting in space. The large range of options of the Jarvis standing desk is also a big weakness. The differences are vast and the products might not be as reliable as many users expect. But by far, the biggest issue with the standing desk comes with the extras. While they are certainly a nice touch, they might not be as appealing when users realize they need to pay for them. At the same time, many eco-claims of the manufacturer might not be backed in reality, especially when it comes to the sustainable sources of the wood. Another consideration to make comes with the fact that standing desks still need chairs for the moment the workers are sitting. This is a problem for those who do not have their own chairs. The chairs offered by Jarvis at a good price are not made to the same level of quality to what the competition has to offer. They are not as ergonomic and their materials are often considered as cheap. However, since Uplift comes with a price guarantee marketing policy, it can be understood that these chairs are not actually as premium as many would expect. The Jarvis standing desk is not as perfect as many people would expect. However, it comes with unseen levels of customization and some of the best materials on the market. This includes aesthetic bamboo and oak and they represent some of the best materials a desktop can be made of. In many situations, these are considerably better than the whiteboard alternatives. However, they need minimum care, especially with stains or hot drinks. 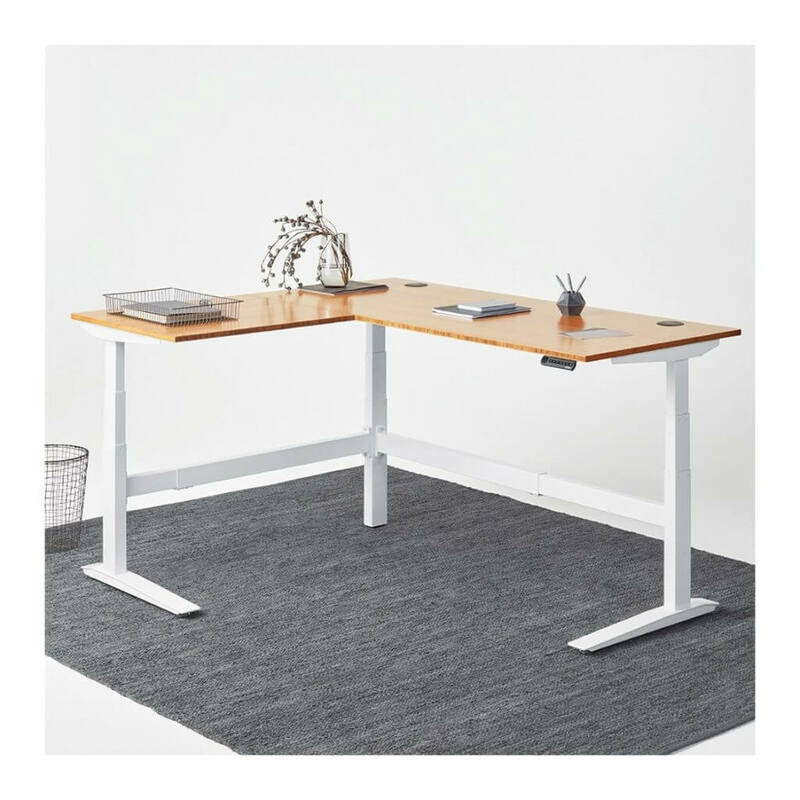 Fully offers one of the largest range of accessories with the standing desk, users can take full advantage of this and enjoy a tailor-made product at a fair price. Surprisingly, the range also covers some niche uses. This includes L-shaped desktops and standing desks for kids.